The shade of gold expected to be used in a new color option for Apple's next iPhone has been described as having an "elegant" look, not a bright and flashy yellow. Gold "iPhone 5S" mockup by Rene Ritchie of iMore. 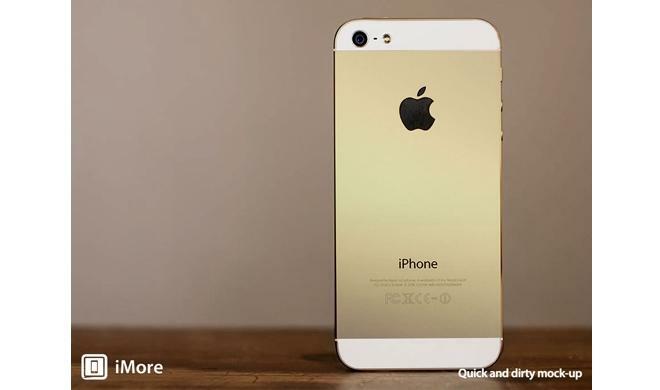 The new "iPhone 5S" will be available with a gold back plate, chamfered edging, and a white face, according to sources who spoke with AllThingsD. One person reportedly described the color as "champagne, not ingot." The report appears to confirm claims made by well-connected analyst Ming-Chi Kuo of KGI Securities last week. The new gold casing will be offered alongside the traditional black and white options Apple already offers with the iPhone 5. 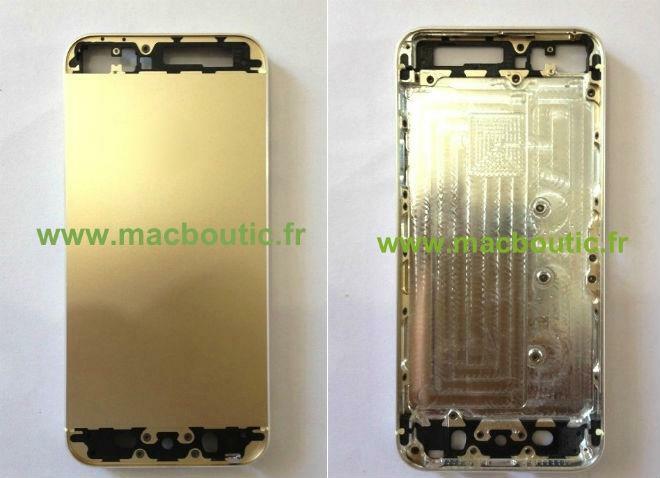 Gold parts purportedly for the "iPhone 5S" have appeared online numerous times in recent months. But a new color isn't the only thing coming to the next iPhone, according to Kuo. He also revealed that Apple will add a 128-gigabyte option to the iPhone lineup, while the "iPhone 5S" is expected to feature a larger f2.0 aperture camera lens and dual LED flash for better pictures in low-light situations. The device is also expected to sport a new A7 chip that could improve battery life with efficiency improved by 20 percent. And the "iPhone 5S" is widely expected to feature a new fingerprint scanner hidden underneath the device's home button. That would allow the device to securely identify a user without the need to enter or memorize a password or unique code. As for the new gold iPhone color, MG Siegler of TechCrunch has speculated that a such a device could perform particularly well in China and India, where the color is very popular. In that sense, a gold iPhone could encourage some users to choose Apple's latest high-end smartphone. Apple reaffirmed to debut two new iPhone models in early Sept.